Since August 2017, he has served as a forensic consultant for the UN Commission on Human Rights in South Sudan. With PHR’s Vincent Iacopino, MD, he is one of three coordinators and the co-editor of the Istanbul Protocol, the UN standard for investigation and documentation of torture. Dr. Özkalıpcı is the founding member and medical coordinator of the Independent Forensic Expert Group (IFEG). He is also the former medical director of the International Rehabilitation Council for Victims of Torture and the former detention doctor of the International Committee of the Red Cross. 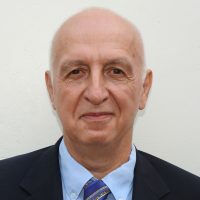 Dr. Özkalıpcı has provided forensic reports to several international bodies, including the European Human Rights Court, the African Commission for Human Rights, the Inter American Commission for Human Rights, the UN International Criminal Tribunal for the Former Yugoslavia (ICTY), the UN Office of the High Commissioner for Human Rights, and National Courts of Cyprus, Denmark, Georgia, Greece, Sweden, Switzerland, and Turkey. He has also participated in fact-finding missions to Bosnia, Gaza, South Sudan, Syria and Turkey and provided reports. Dr. Özkalıpcı has published several articles, book chapters, and a medical atlas on the physical findings of torture. He graduated from Egean University Medical Faculty in Izmir, Turkey in 1986, and obtained his doctorate at that university in the same year. He received his Forensic Medicine Specialty Training between 1993 and 1996 at the Forensic Medicine Council of Turkey in Istanbul and was licensed in Forensic Medicine in 1997.